Families have increased quality time for child and adult interaction and conversation. Children are less likely to become overweight or obese due to learning healthy eating habits. Children are more focused in school and show academic performance improvement. Family values and traditions are created and passed down. Family bonds are strengthened as parents model good table manners and behavior. 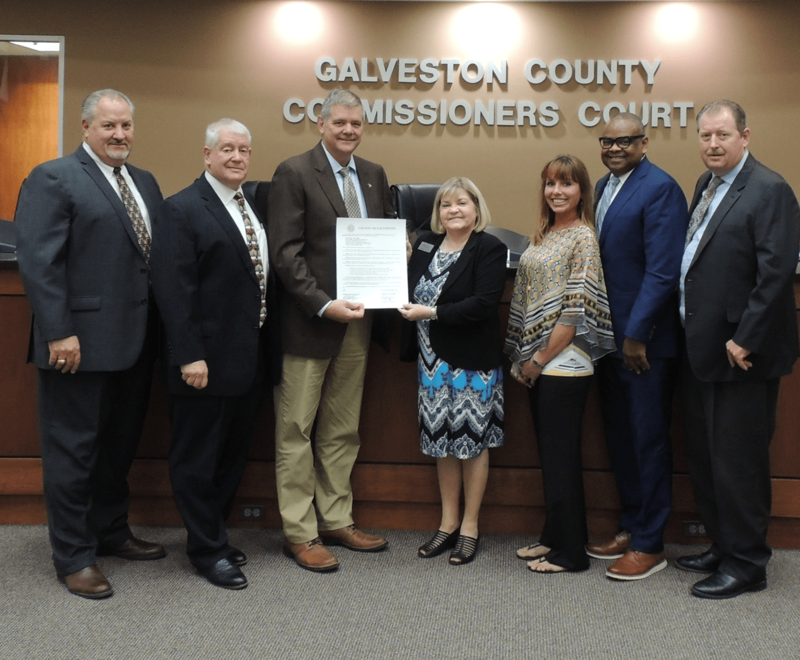 Commissioners Court of Galveston County, Texas, hereby proclaims the month of September Family Mealtime 2018 in Galveston County, Texas, and encourages all citizens to observe this month by encouraging the adoption of healthy behavior through family mealtime in Galveston County. Pictured above left to right: Commissioner Precinct 1 Darrell Apffel, Commissioner Precinct 2 Joe Giusti, County Judge Mark Henry, Family & Community Health Agent, Jymann Davis, Family & Community Health Administrative Assistant, Reese Daily, Commissioner Precinct 3 Stephen D. Holmes and Commissioner Precinct 4 Ken Clark.